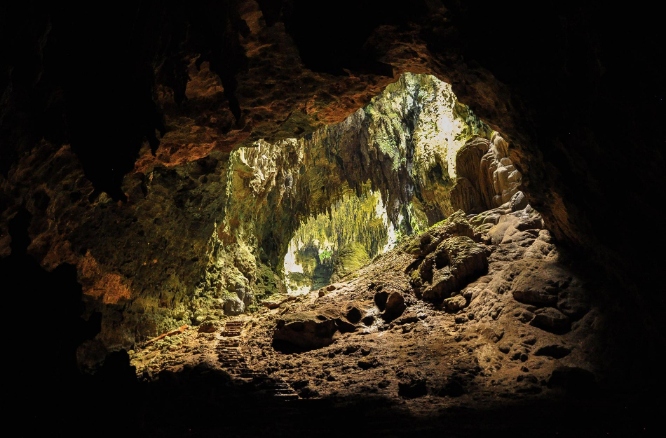 Researchers digging in the Philippines's Callao Cave found teeth and bones that they say belong to a distinct species of ancient human, which they have named Homo luzonensis. Dubbed Homo luzonensis, the species is one of the most important finds that will be out in the coming years, one scientist predicts. 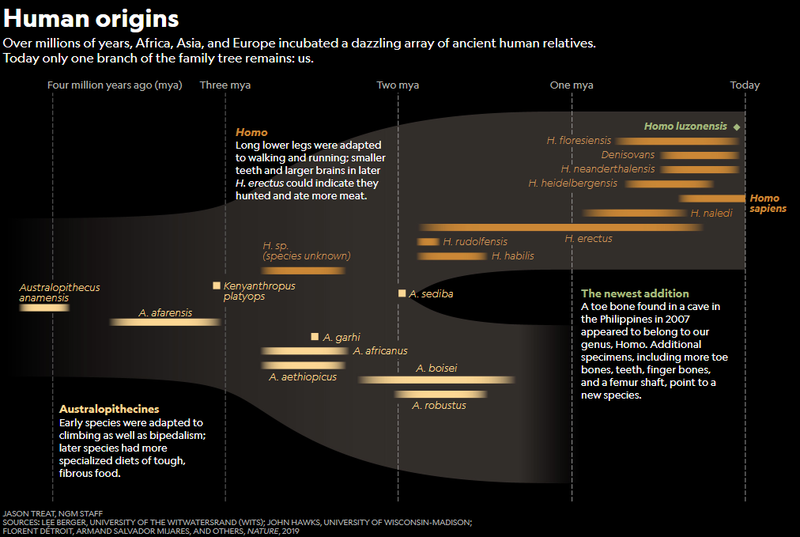 Humankind's tangled shrub of ancestry now has a new branch: Researchers in the Philippines announced today that they have discovered a species of ancient human previously unknown to science. The small-bodied hominin, named Homo luzonensis, lived on the island of Luzon at least 50,000 to 67,000 years ago. The hominin—identified from a total of seven teeth and six small bones—hosts a patchwork of ancient and more advanced features. The landmark discovery, announced in Nature on Wednesday, makes Luzon the third Southeast Asian island in the last 15 years to bear signs of unexpectedly ancient human activity. “For a long, long time, the Philippine islands [have] been more or less left [out]," says study coauthor and project leader Armand Mijares, an archaeologist at the University of the Philippines Diliman and a National Geographic grantee. But H. luzonensis flips the script, and it continues to challenge the outdated idea that the human line neatly progressed from less advanced to more advanced species. Five of the seven teeth attributed to Homo luzonensis. The teeth have small sizes and relatively simple shapes, but one premolar has three roots, which is uncommon among modern humans. 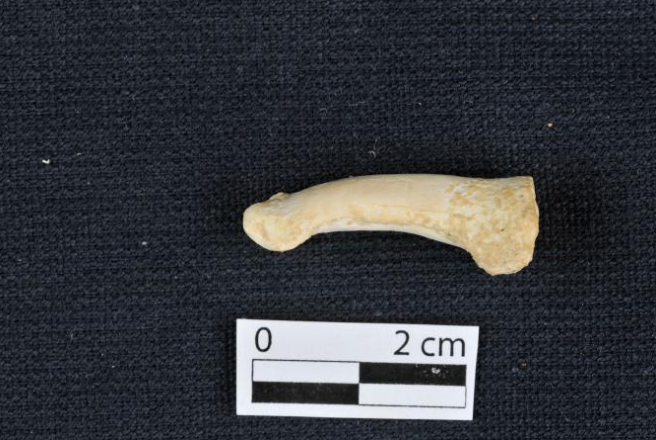 This foot bone, attributed to Homo luzonensis, is unusually curved—a trait more commonly seen in more ancient cousins of modern humans, such as Africa's australopithecines. Nature.com also has some information. All times are GMT +1. The time now is 07:57 AM.